"The beach pool was fun and the staff was great." Have a question for Mandalay Bay Resort & Casino? "Room was very big for four of us." "Great, would have liked complimentary coffee and useable minibar in the room." "I needed a shower and the room was a good value." This hotel features guestrooms equipped with modern amenities for your comfort. Offering perfect rest, each of the rooms at Mandalay Bay Resort & Casino features a lofty bed, 42” plasma TV, and a marble spa tub. The hotel's host of recreational offerings ensures you have plenty to do during your stay. If you feel like staying indoors, the hotel provides Wi-Fi in public areas. For business travelers, make use of the meeting facilities provided by the hotel. The hotel also provides a car park for your convenience. 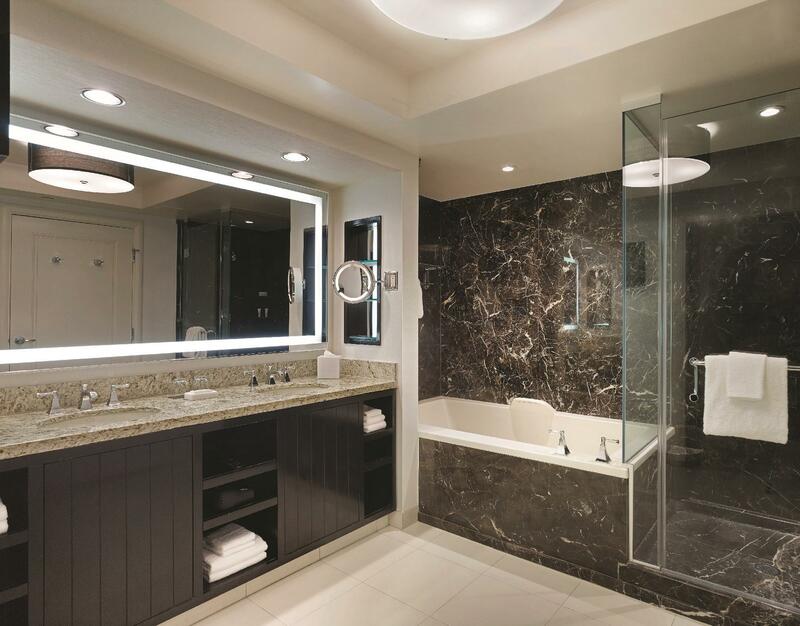 Mandalay Bay Resort & Casino is hands down a symbol of elegance and a premier stay in Vegas. "The room is nice and very clean." An additional charge will be required for use of the parking beginning April 1, 2016 onward. this hotel and good location to go for food and shopping. also this hotel is good for commute and transportation to many point of interest. the area around the hotel is good and clean. the room is big enough and worth for money. the view around hotel is ok and not too crowded. I would recommend many people to sta this hotel not only tourist but also business people. on the other hand, this hotel has free wifi for all customers but some area has low signal. Great valae compare to payment. it is very convenince to book through agoda. the hotel have all facilities we need wifi, casino, restaurants, great buffet,, tram (train to the other hotels), and so on. just arrive the hotel, you can forget the outside world and enjoy the gambling. you family enjoy the beach in the hotel with the real sea wave. try it and you will love it.